The Spaniard had a first contact with the Chevrolet car in Texas in a car with problems of youth. 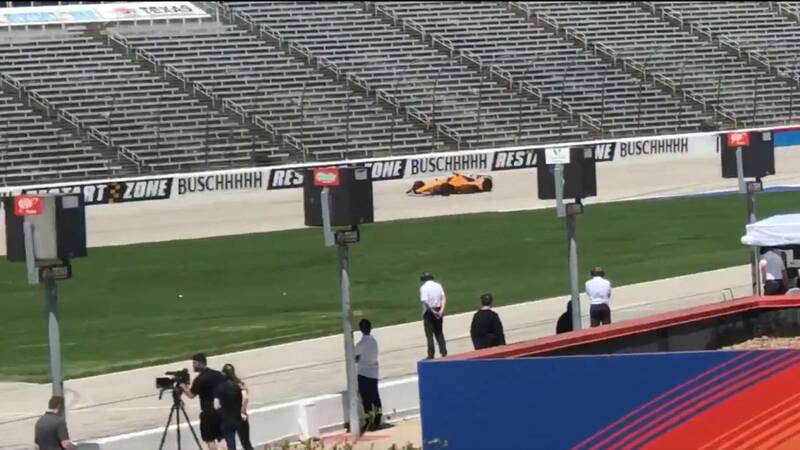 He spent all night crossing the state of Texas to get to the city of Fort Worth, stand at the door with his flag of Spain, enter without being seen for a while, see Fernando Alonso in the middle of the oval talking on the phone and ... have to turn to avoid problems. Alejandro Ibago is a Spaniard, a political consultant who works in the United States, he loves motor racing and for some time he had planned to go to Texas Motor Speedway to meet his Asturian idol. He did not get it because of the flag. They call it deep America. Everything that is not to go with the stars and stripes. If you had time to check how in the first two hours the Asturian barely gave six laps to the oval of 2.4 kilometers with the Chevrolet engine McLaren with which he hopes to win in Indianapolis The beginnings of Fernando with this car have not been easy and in those first moments with the orange car had certain problems of youth, one lap and in, another more, then a pair ... so until finally it could roll with certain normality and in the second part of the test. In any case, Alonso was satisfied: "All right, it's the first laps with the car, it was about starting to feel comfortable with the car, the pedals, the steering wheel, that's how It starts, it's a new team, a new car. We are doing things little by little, but we will arrive ready at the Indianapolis 500. " This first contact has shown that there is still a lot of work to be done with this car, but they have time to do it. This was a day of tests and more tests and the first one that the car was put on the track. We will see what they are capable of in McLaren so that it is ready in Indianapolis.